What am I missing? How nonsteroidal anti-inflammatory drugs (NSAIDs) have essentially obtained a free pass, largely escaping the wrath that has come down upon chiropractors for performing cervical adjustments, is beyond what one customarily calls “rational.” Against the approximately one death in 3 million manipulations associated in a literature review by the RAND Corporation, we have the oft-cited 16,500 annual morality rate attributed to NSAID use as reported in nothing less than The New England Journal of Medicine. But the story goes far deeper. A 19955 study assessed comparative risk-of-death rates from neck manipulation and the use of NSAIDs from the literature, concluding that the latter was 160 times greater than the former. And this particular estimate was based upon the most catastrophic estimate of death rates attributable to cervical manipulation from Dvorak, which put the figure at one death per 400,000 manipulations – or 7.5 times higher than the RAND estimate. Using the RAND figure for cervical manipulations would thus mean that the risk of dying from NSAIDs is actually 1,200 times greater. 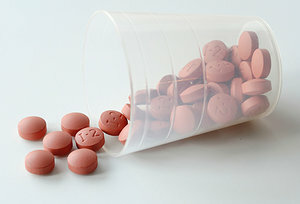 At about the same time, other reports appeared which detailed the toxicity of NSAIDs in at least three areas: gastrointestinal: GI bleeding, ulceration and perforation; renal (kidney): reduced glomerular filtration rate, possibly leading to glomerulonephritis, interstitial nephritis, papillary necrosis, or acute tubular nephrosis; and hepatic (liver): hepatitis and other damage. More recently, researchers at the Baylor College of Medicine employed miniature cameras swallowed in small capsules to document the fact that NSAIDs (Advil or Motrin), when regularly taken, lead to small-bowel erosions in 62 percent of users as compared to 5 percent of non-users. Similar small-intestine damage was associated with regular NSAID use in 40 arthritis patients, severe damage associated with higher dosages. It gets even worse. More recently, NSAID use has been associated with cardiac disease. In a case-control analysis of the British General Practice Research Database, Fisher and co-investigators concluded that the risk of acute myocardial infarction may be significantly elevated several weeks after cessation of NSAID therapy. Regarding rofecoxib (Vioxx) use, between 88,000-140,000 excess cases of severe coronary heart disease might have resulted from the use of this drug, rather than other NSAIDs, in the United States since its launch in 1999. In a separate study to see whether naproxen or Celebrex could forestall or prevent the development of Alzheimer’s disease in older adults, it was found that 70 patients in the study had suffered from heart attacks or stroke, representing a 50 percent increase over the placebo rate. These findings were so compelling that Vioxx (rofecoxib) was removed from the market on Sept. 30, 2004, by Merck Sharpe & Dohme, followed by the suspension of marketing of valdecoxib by Pfizer on April 7, 2005. For those still questioning whether the association of vascular or upper GI events with NSAIDs is real, the hammer just dropped at the end of May with the publication of meta-analyses of some 280 trials of NSAIDs vs. a placebo and 474 additional trials of one NSAID vs. another, yielding elevations of all risk ratios with coxib, ibuprofen, diclofenac and naproxen. But it doesn’t stop there. Congestive heart failure in the elderly has commonly been linked to the recent use of NSAIDs, the estimated annual risk of first hospital admission being 500 per 100,000 – the same as for major gastrointestinal tract bleeding and ulcer perforation in at least one study. Moving to the opposite end of the age spectrum, NSAIDs have been shown to be strongly associated with persistent pulmonary hypertension in the newborn, with at least one NSAID found in the meconium of the lung. Dropping even farther back in the chronology of fetal development, we find in a Danish case-control study that NSAIDs have been significantly associated with the risk of miscarriage, the risk increasing sharply with the proximity of taking the drug prior to the abortive event. In the widely disseminated low back pain guidelines circulated by what was then the Agency for Health Care Policy and Research, NSAID medications and spinal manipulation were given equal quality ratings as to their effectiveness. In light of the numerous and troubling NSAID side effects discussed here, it would appear that the choice of two types of interventions for at least back pain should be narrowed to one, catalyzed by the fact that only recently a randomized, controlled trial conducted in Bremen, Germany, demonstrated the superiority of spinal manipulation over NSAIDs in managing acute, uncomplicated mechanical low-back pain. Editor’s note: Talk to your doctor of chiropractic to learn more about the dangers of NSAIDs and drug-free alternatives for your pain. To learn what to ask your medical doctor whenever they prescribe a drug (and before you fill the prescription), click here. Anthony L. Rosner, PhD, a 1972 graduate of Harvard University (PhD in biological chemistry/medical sciences), is the former director of research and education for the Foundation for Chiropractic Education and Research and the current research director for the International College of Applied Kinesiology. If you’ve been turned off (or confused) by the recent reports of the dangers of excess omega-3 consumption, don’t be. Years of statistical evidence have reported the vast and various benefits of healthful consumption of omega-3s—which include even the prevention of prostate cancer. These essential fatty acids get their name from the structure of their molecules, in which the first of several double bonds occurs three carbon atoms away from the end of the carbon chain. Consuming a fish oil supplement is the easier way to raise levels of adiponectin, a hormone that affects the metabolic processes like glucose regulation and the modulation of inflammation. Taking omega-3 capsules regularly will decrease your chances of heart disease and diabetes. On the contrary, the aforementioned prospective study claimed a 43 percent increase in the risk for all grades of prostate cancer, and a 71 percent increase in risk for high-grade prostate cancer. However, a previous study determined that a diet high in omega-3 fatty acids actually reduced the growth of prostate tumors and was associated with increased survival rates. This evidence appears to clash and thus leaves the consumer in limbo. The reality is that omega-3s provide very specific biological benefits as listed above. This can’t be refuted. As far as a disease study, there are many, many factors that determine whether or not someone ends up with cancer independent of essential fatty acid intake. By following a complete, 5 Essentials lifestyle, you’ll be putting the mass majority of positives together in your life to enable your body be well. It’s when you take in omega 3s and address other factors that you can count on studies showing your body will neutralize damaging toxins, fight off developing illness, and heal and function at its greatest capacity. The 5 Essentials are the safest bet for achieving lasting health, and high-quality fats play a crucial role in maintaining that lifestyle. As an expert in total body wellness, your doctor can help you and your family feel physically better today, as well as help you achieve real, lifelong health.